Paul Broussard, cyRM, has specialized experience advising clients on their risk management and insurance programs. 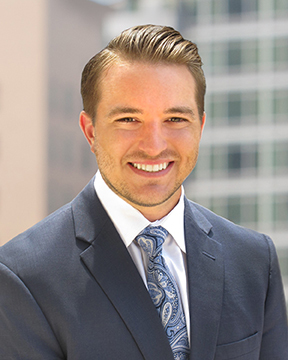 He has dual roles serving both in Cavignac & Associates’ Professional Liability Department and as a small business consultant for the firm. In the former role, he is charged with maintaining existing professional liability client relationships, handling renewals and prospecting for new sales leads. In the later, he services small- to mid-size accounts, maintaining and renewing existing relationships and generating new business. Broussard is a graduate of LSU, where he earned his Bachelor of Science degree in marketing. He subsequently completed training at the Sandler Sales Institute, Richardson Sales Training and Affiliated FM. He holds a Cyber Risk Manager (cyRM) designation and Property & Casualty licenses in the states of California, Georgia and Louisiana.